White’s Chicken is one of those restaurants I rarely hear or even talk about, being kind of lost. The marquee sign has always said “Delivery” in those small black block letters, with the iconic red arrow pointing towards the entrance. 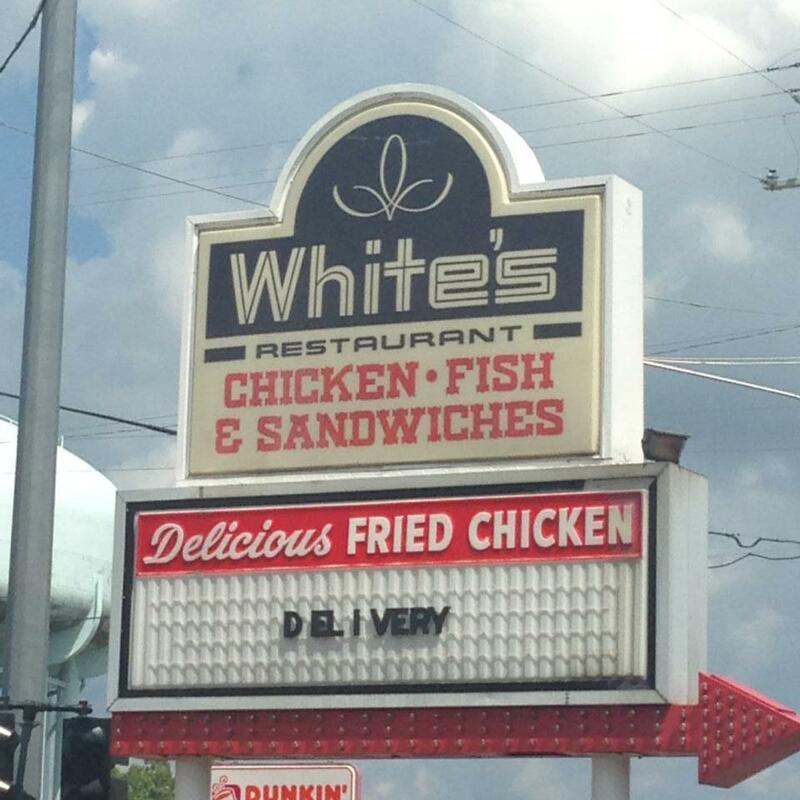 I had never eaten at White’s Chicken in my city ever, that is until today for some special reason. The food there, especially the main course chicken, is very authentic and fresh, maybe even more so than KFC. It’s an old restaurant, dating back to the early 20th century, and has been on that same corner for as long as I can remember, right across from the Dunkin’ Donuts. It’s a small and modest eatery, seating only about twenty with the kitchen area behind the service counter in plain view. The only other time I went into that place was to get a job application. I’m surprised that this place is still in business with it looking so down and empty all the time (according to my eyes) but they also have catering which helps bring in a lot more money. The place is mainly served by one waitress, who today looked like she would have to work two jobs in order to make enough money to make ends meet. White’s isn’t ancient but it may as well be with it being stuck in a perpetual time warp of the early progressive era. The walls and decor clearly scream 1920s.